The idea of a Saturday afternoon at IKEA is enough to send any single person or childless couple screaming for the exit. I was there just this past weekend and am still shocked by the willingness of people to turn a trip to the furniture warehouse into some sort of family fun day. I’m there for serious furniture shopping and the family in front of me is having a casual Sunday stroll, screaming children in tow. Thankfully, a new IKEA VR game on Steam, appropriately called the “IKEA VR Experience”, looks to take the whole “being-around-people” element out of shopping for a desk or wardrobe. 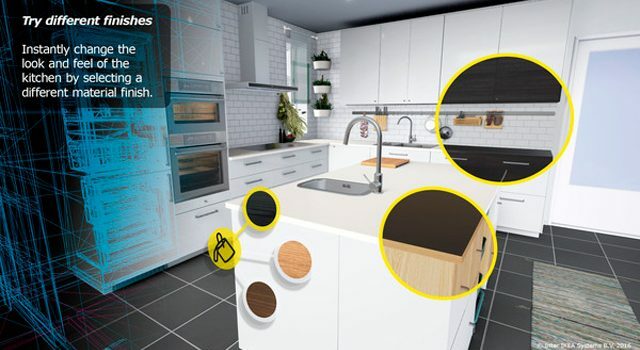 IKEA VR Experiece is free-to-play for the HTC Vive and really acts as more of a tech demo than a full-blown shopping experience, offering up a five-minute walk-about inside the company’s latest 2016 catalogue kitchen. You can give it a go via STEAM.